When customers walk into your Reception area, what are their first impressions? If you are familiar with your surroundings, its easy not to notice the small things that can create a bad impression for someone seeing it for the first time. Bad First Impressions can be caused by grubby curtains, stains on the upholstery, ingrained dirt in a stone floor, leather chairs that look dull and faded, and carpets that look stained, dirty and gloomy. 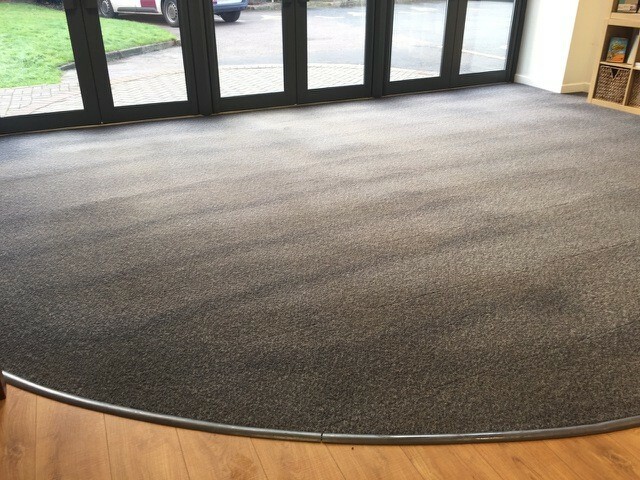 These things become invisible when you see them every day, so it’s a good idea to try and look at your reception area with the eyes of a stranger – if you can. If you can’t, why not ask your staff, or clients for their feedback? The start of a new year is a great time to do this, especially for a Hotel, village hall, or care home, where the first impressions of visitors can make a difference to them making a booking. 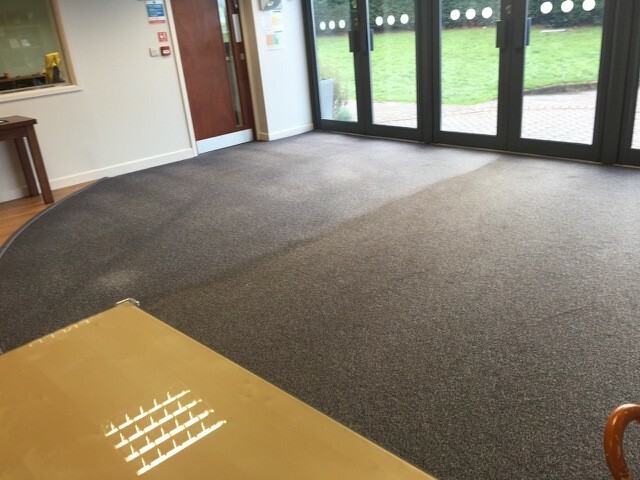 SJS Carpet Cleaning can make all your leather and fabric upholstery look bright and fresh again, and the carpets and hard floors look vivid and brilliant. It may be that your fabric chairs have never been cleaned, in which case you will notice a big difference when they are cleaned and restored to their original colour. This will make a big difference to the first impressions of your visitors and customers, as well as boosting the morale of your employees. 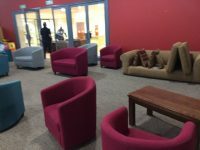 Our professional cleaning technique means your furniture will be anti-bacterialised, with stains almost always removed, except for a spillage or mark containing a dye, and all your fabric fibres will be bright and vibrant. Remember your business is judged on the first impressions of your visitors, so this year – make it a great one!